13:31 | Lima, Feb. 8. 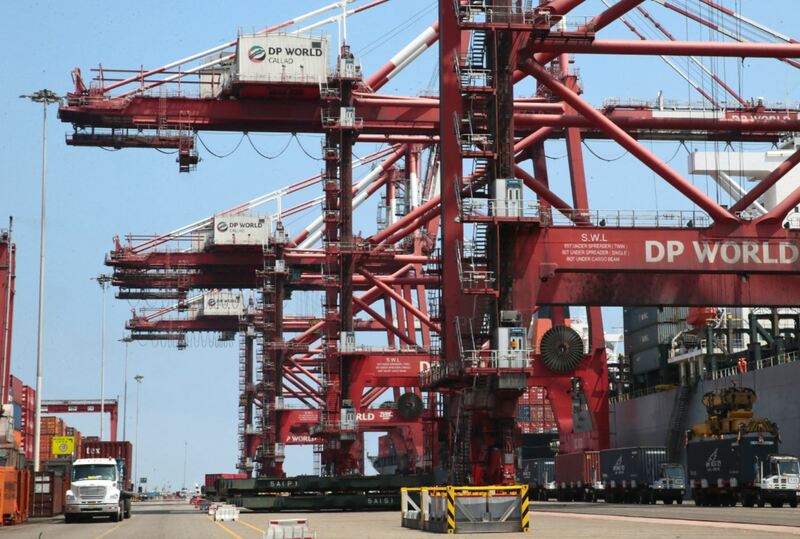 Peru's trade balance registered a US$7.049 billion surplus in 2018, the highest figure since 2011, thus maintaining the positive trend witnessed for three years in a row, Central Reserve Bank (BCR) reported. "In 2018, exports totaled US$48.942 billion. A historic amount that confirmed the upward trend over the last three years, thus marking an 8.1% increase compared to 2017," it expressed. "That was underpinned by higher export volumes (1.5%) and price (6.5%)," BCR added. According to the issuing entity, traditional exports' average price rose (8%) last year, mainly zinc, oil derivatives, and fish flour. "While non-traditional export volumes posted an 11% expansion, driven by greater shipments of agricultural, fishery, and chemical products," it indicated. Likewise, BCR pointed out imports totaled US$41.893 billion, an 8.2% increase compared to 2017. This result was boosted by greater purchases of inputs (+14.8%), as well as capital (+2.9%) and consumer goods (+2.8%). In December 2018, Peru's trade balance posted a US$1.076 billion surplus. Exports amounted to US$4.227 billion, while imports reached US$3.152 billion.